Optically perfect, fast and lightweight. 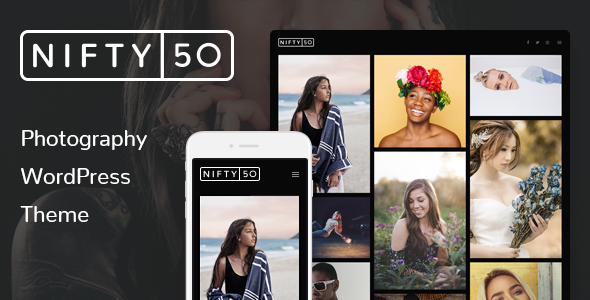 Just like a nifty fifty lens. 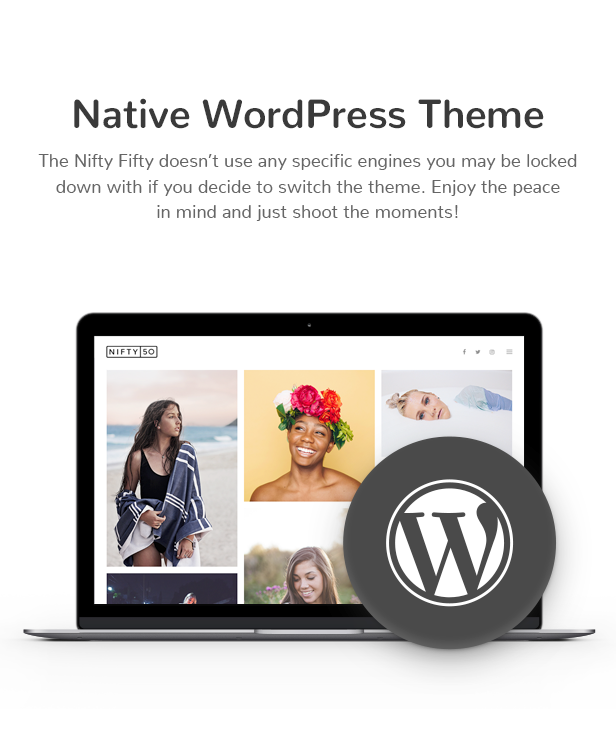 Share your passion with the world using the Nifty Fifty Photography WordPress theme â€“ lightweight and stylish solution for your creative portfolio. 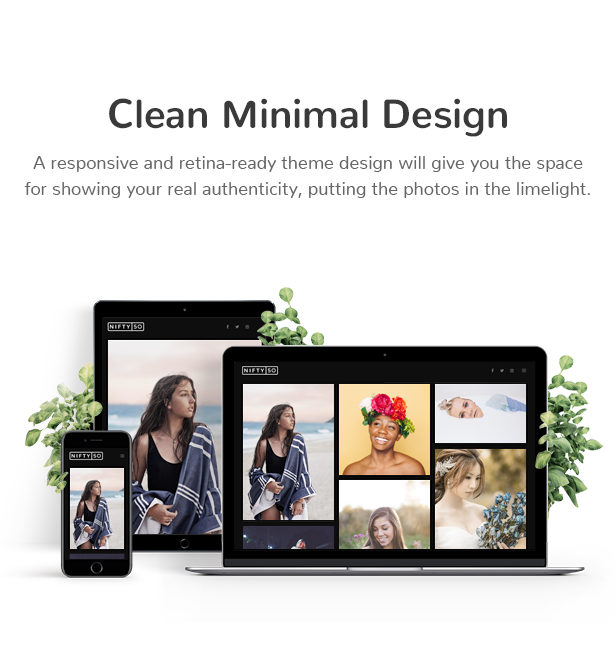 Its minimal design approach will let you maximum focus on the photos, not losing quality and highlighting all their emotional components. 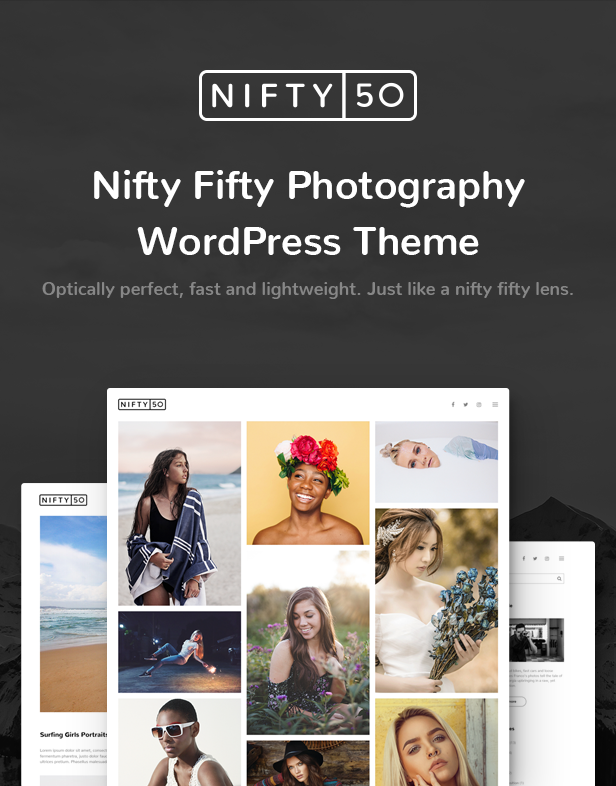 Whether you just want to showcase your photos, do an informative and photo-rich blogging, or both, the Nifty Fifty theme will make the process as smooth as it should be. 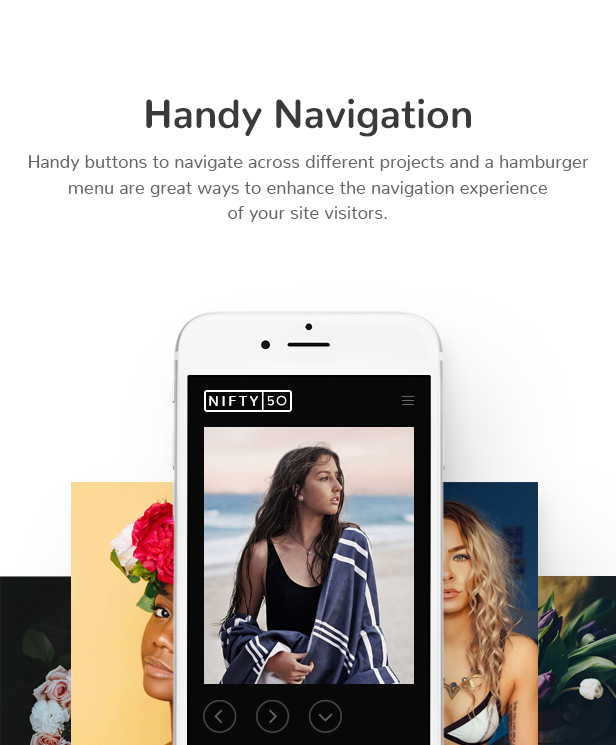 Despite your customization manipulations, the photos will look sharp and clean on each device. 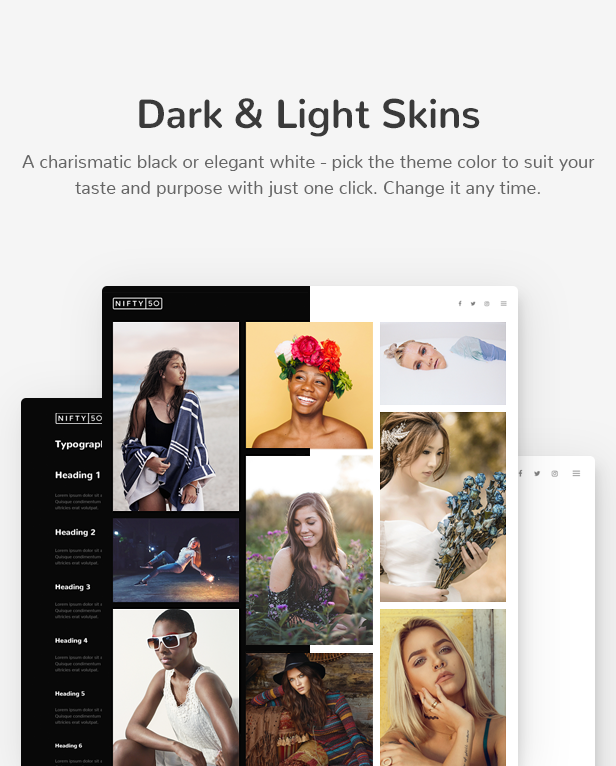 You may switch between black and white theme skins, brand the site identity, turn on commenting, create a distinctive blog, and even more. 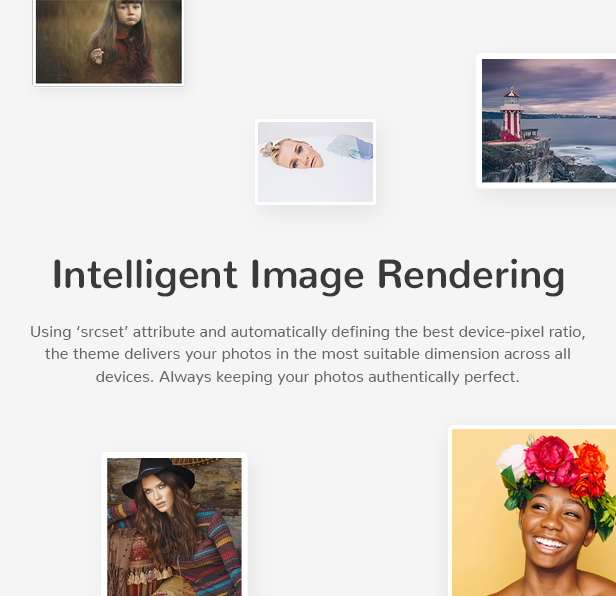 The portfolio is powered by the professional Jetpack plugin to showcase your photos in the most eye-catching way and give you customization freedom. 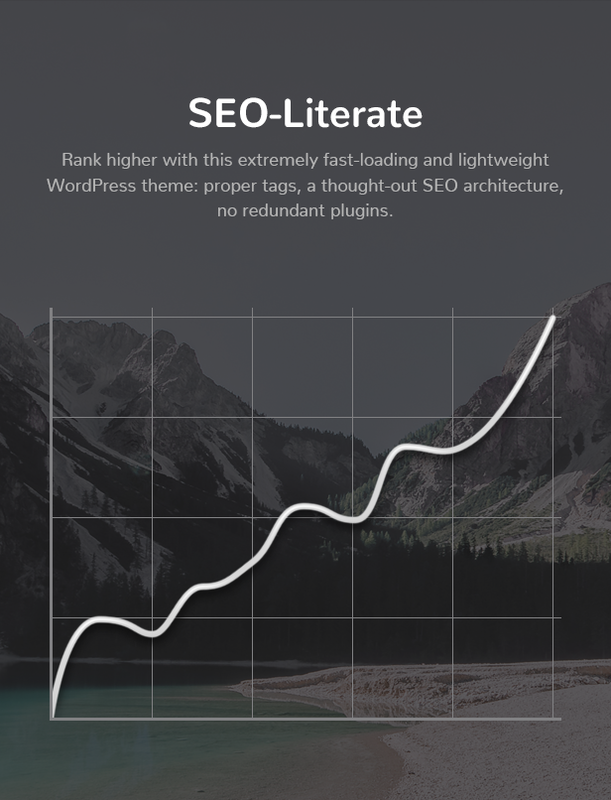 Not overwhelmed with the redundant plugins, the theme will let you establish your personal brand with minimum efforts.